October is a marvelous time for fly fishing in Montana. Rivers and streams are rejuvenated, cool and clear, fish are plump on summer feeding, and most vacationers are back at school and work. 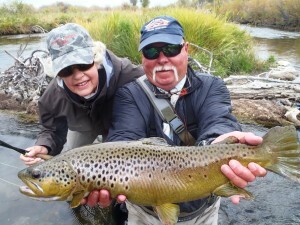 Healing Waters Lodge is offering a Fall Fly Fishing class, October 14-19. Included is a six-night stay at the lodge with all meals included, 5 days of classroom instruction on fall fly fishing techniques and guided fishing; all for $2,995. To learn more about this great offer contact Mike Geary at 406-459-2030.